The price for this trip is based on 2 people sharing. 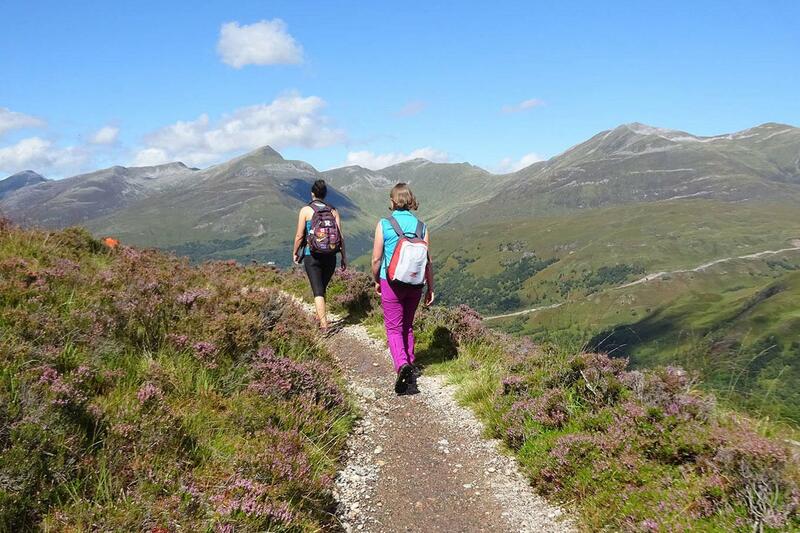 We are happy to provide this walk for solo travellers for a supplement of £45pp per night. For groups with odd numbers there is a group supplement of £30 per night. By air: The nearest airport is Glasgow International [GLA], from where you can take one of the regular airport shuttles into the centre of Glasgow (20 minutes). From here, take a train from either Glasgow Central Station or Glasgow Queen Street Station to Milngavie Station (25 minutes). Check www.traveline.info for the latest public travel information. There are also excellent public transport links from Edinburgh Airport (EDI]. Take the AIR coach direct from the airport to Buchannan Street Bus Station in the centre of Glasgow (1 hour) and then there is a short walk from the bus station to Queen Street Station, where you catch the train to Milngavie (25 minutes). By road:Fort William is located on the A82 on the banks of Loch Linnhe 2½ hours north of Glasgow. Day 2 - Milngavie to Drymen: Arrive in Milngavie (pronounced ‘Mullguy’). Head to the official starting point of the West Highland Way, a grey granite obelisk which stands proudly in Douglas Street and then follow the signposted route along gentle paths through the Mugdock Country Park Estate to Craigallian Loch, where there are surprising views over the Campsie Fells to the North-East. Glencoyne Distillery makes a good stopping place, where you can pop in for a tour and a ‘wee dram’ of the famous whisky. The route then winds past Gartness and down into the attractive village of Drymen, where you’ll find your luggage waiting for you at your accommodation. Day 3 - Drymen to Rowardennan: After a pleasant walk through the Garadhba Forest, you have a choice as to whether to take the easier route beside the B837 or to walk to the top of Comic Hill, where your efforts are rewarded by truly spectacular views of Loch Lomond and the Highland Fells. Balmaha is the next stop, a touristy village on the shores of Loch Lomond, where there are regular boat trips and plenty of places to grab a bite to eat. From here, the route meanders alongside the lake, dipping down to secluded bays and rising up through the native woodland which hugs the shore to the hamlet of Rowardennan. 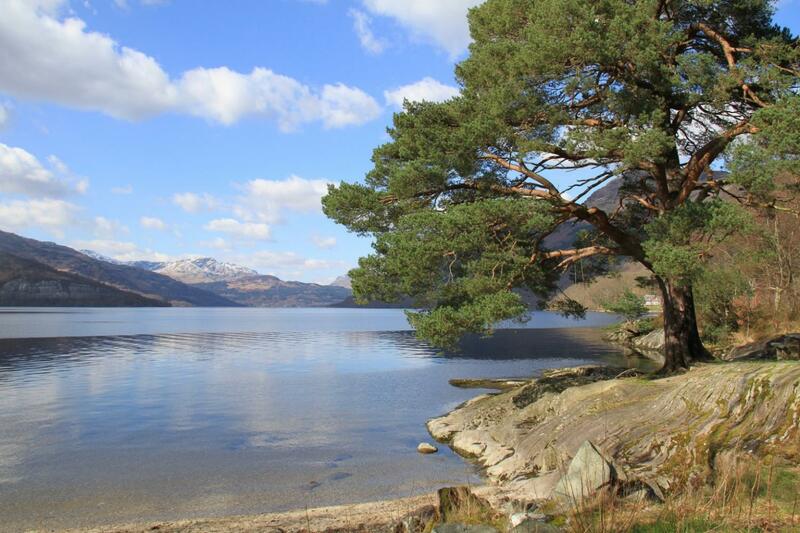 Day 4 - Rowardennan to Inverarnan: Standing on the shore at Rowardennan take a moment to savour the quiet beauty and tranquillity of the loch. The vast lake extends over 23 miles and is dotted with 38 islands, many of which used to be inhabited. To your back towers the majestic Ben Lomond, some 974m above sea level which makes an excellent side trip if you wish to add a free day to your itinerary. The route to Inverarnan takes you along a forest track passing many waterfalls gushing down from the mountain and yields glorious glimpses of the loch through the trees. For the more adventurous, a challenging alternative route hugs the shore, but beware, it is very slow going. At Inversnaid, you enter the RSPB’s nature reserve. This ancient oak woodland is home to a wide array of wildlife including redstarts, red deer and black grouse. You might even encounter a wild goat. 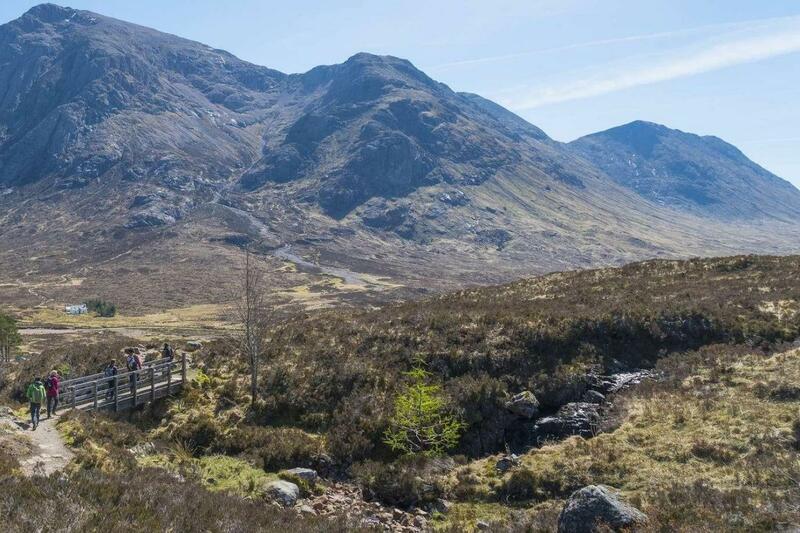 The route then climbs away from the loch to Dubh Lochan and down into Glen Falloch, where the scenery changes abruptly to the craggy hillsides and mountain streams of the uplands.